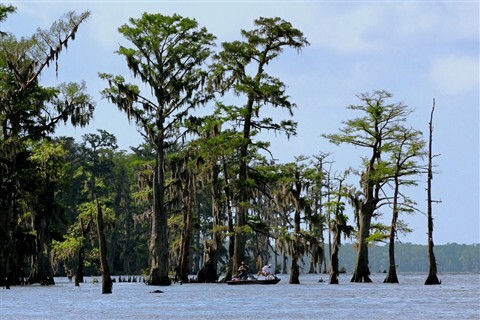 Two weekend warriors try their luck at snagging a few Largemouth Bass in Lake Des Allemands located just west of Des Allemands,Louisiana. Notes: Handheld, cropped. Hoya Pro 1 Digital Circular Polarize Filter.